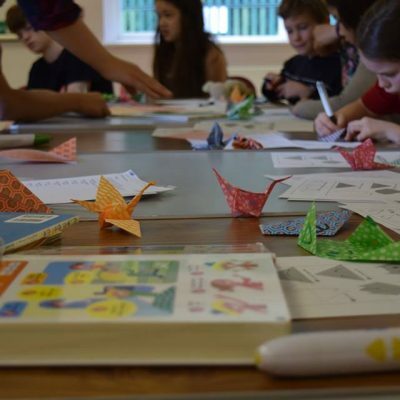 Following a successful taster session, Japanese Language and Culture Lessons will be starting in September 2016 for ages 4-16. These will be delivered in three age groups (age 4-8, age 8-12, age 12-16) on a weekly basis on Thursday mornings in Northampton by a lovely Japanese lady (native Japanese speaker). We have been extremely fortunate to have grant-funding in principle (subject to a satisfactory final audit) from the Japan Foundation. If successful, we hope that once established, the Japanese lessons will continue beyond the period of the Grant.